As I mentioned in my last post, i’ve made many a Boscaiola sauce before. 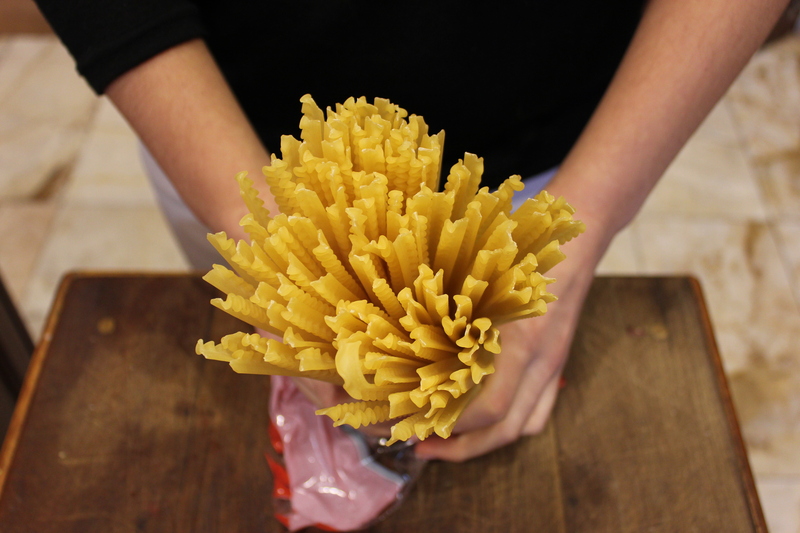 I worked as a kitchen hand for a year and a half making the pastas, and the one thing that I learnt from that job was how to make a good cream sauce. 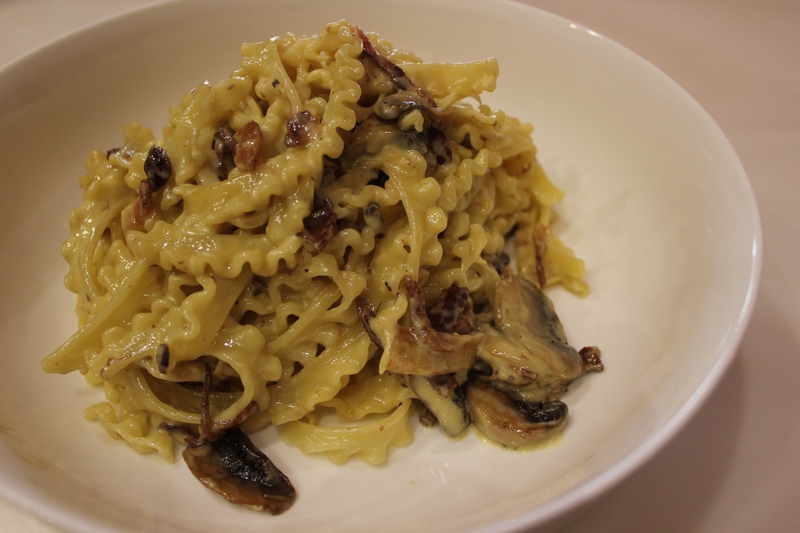 Before that, I thought that a creamy pasta meant pasta with a puddle of cream at the bottom, and it was never pleasant. But, following the few simple steps that my boss showed me changed my opinion of this type of sauce. 2. 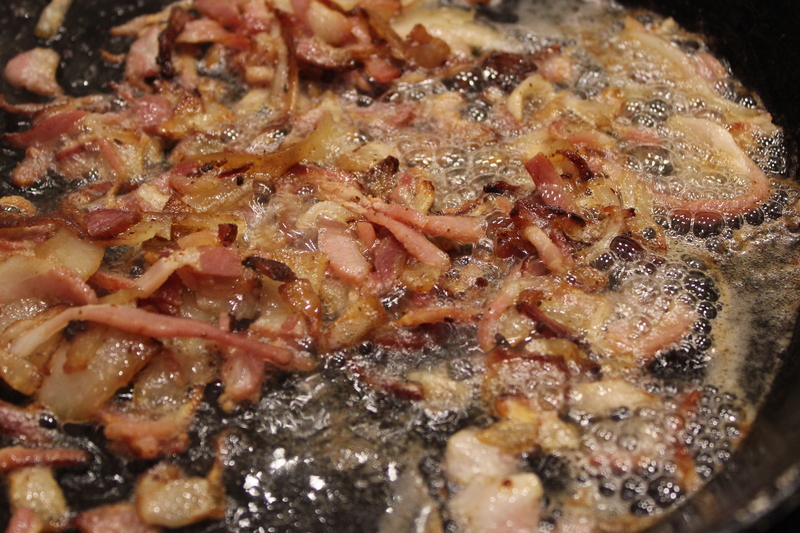 Once the bacon starts to ‘pop’ and the fat ‘spits’, it is time to add the sliced mushrooms. 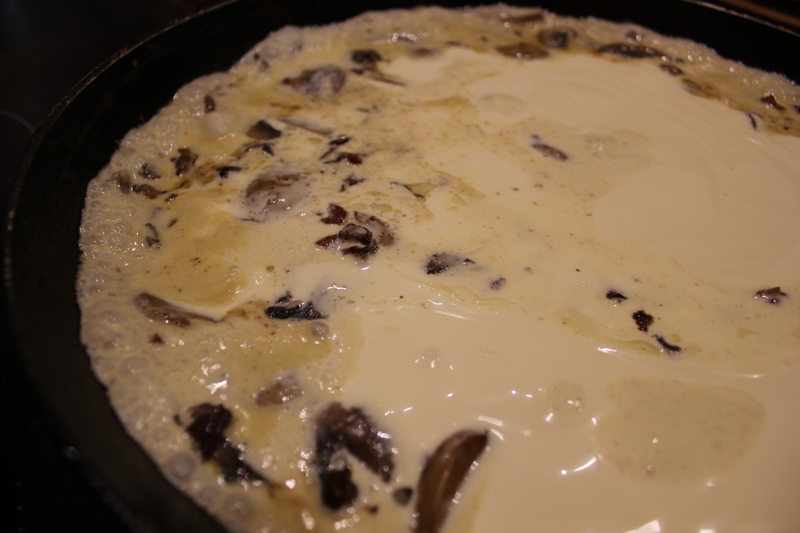 The mushrooms need to sliced thin so that they can easy release their liquid and crisp up. 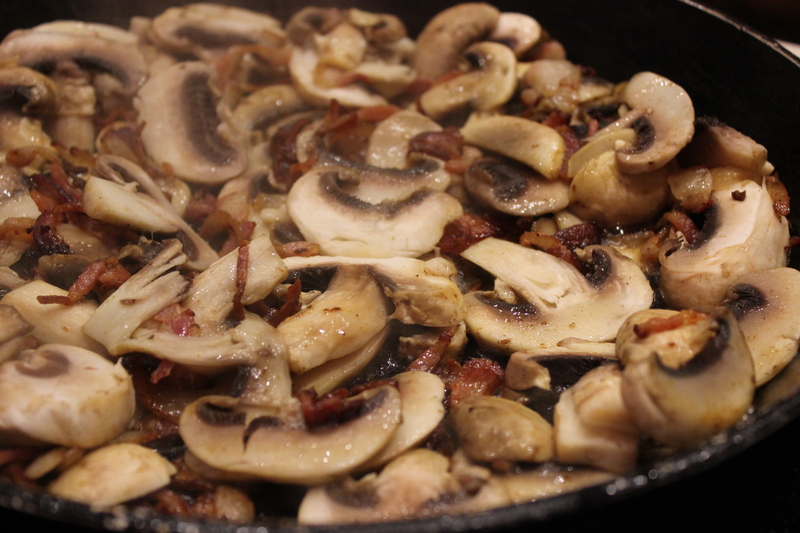 The mushrooms needs to be cooked until it is crispy and golden, like the bacon. 3. 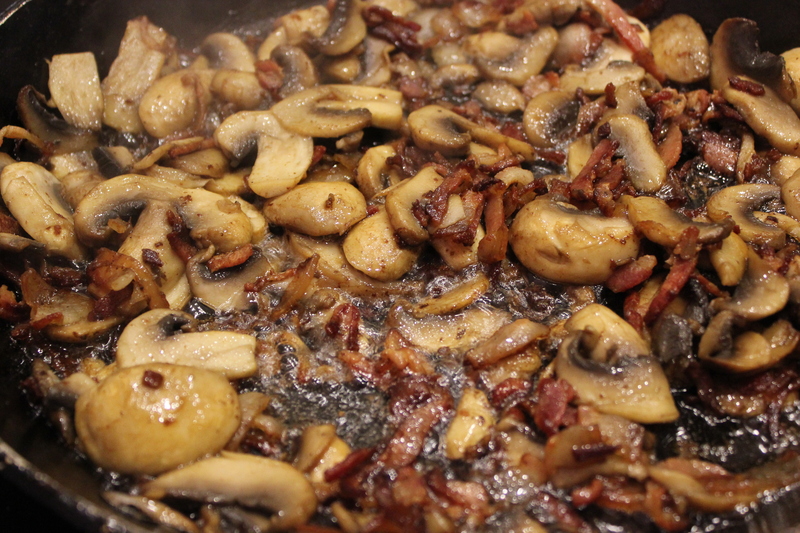 Once both the bacon and mushrooms are crispy, add the cream and reduce heat to low. If you have an electric stove, leave the heat on high, but on a gas stove its important to reduce the cream to low so it doesn’t split. 5. 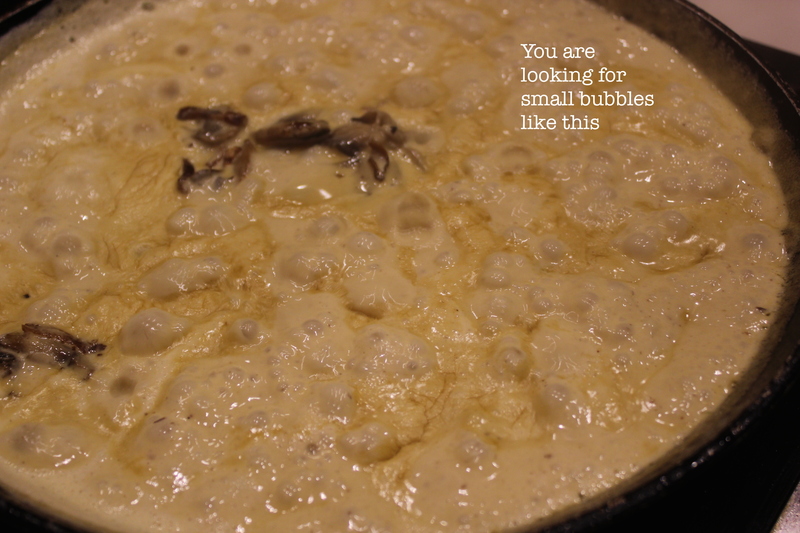 Allow the cream to bubble away (it is the small bubbles that you are looking for) until it has darkened and thickened. 6. 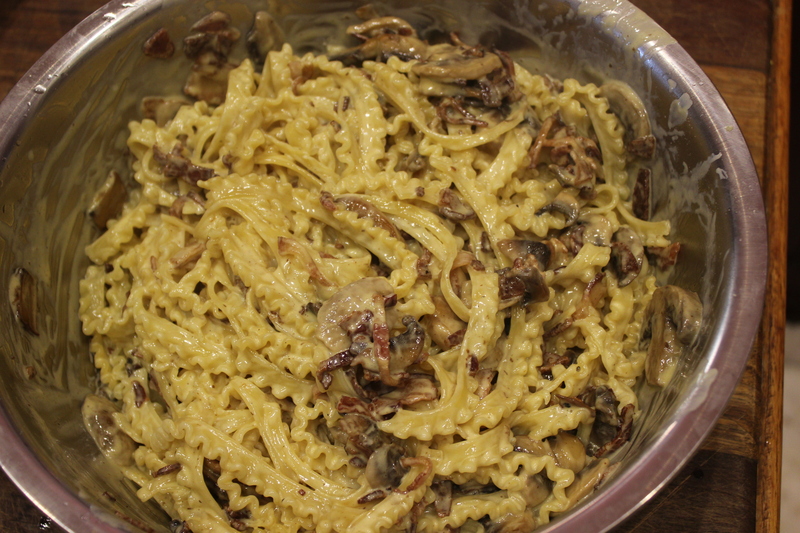 Add the cooked pasta to the pan while it is on the heat, allowing a minute or so for the sauce to gel to the pasta. Keep posting Hannah. I love your blog!